Disney Frozen Hideaway Tent Just $8.49! Down From $20! You are here: Home / Great Deals / Amazon Deals / Disney Frozen Hideaway Tent Just $8.49! Down From $20! 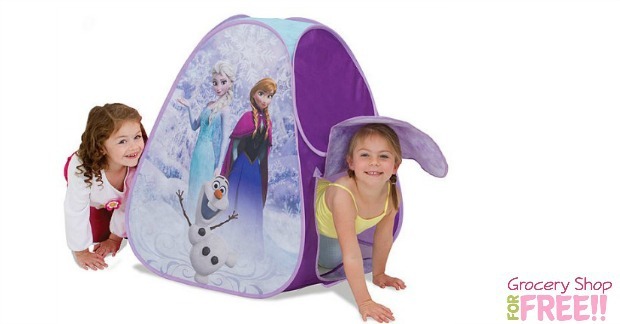 You can get this Disney Frozen Hideaway Tent for just $8.49 down from $20! You can also choose to pick it up in store for FREE shipping to store or get FREE shipping with orders over $49. This is $14.99 on Amazon! At Walmart it is $40!